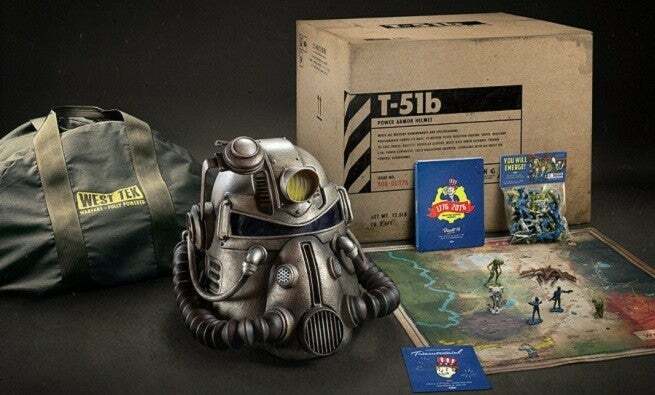 Bethesda responded to the controversy over Fallout 76 Power Armor special edition and apologized to a customer who contacted the Bethesda support team. Allegations of misleading advertising and deceptive promotions for the Power Armor edition of Fallout 76 began circulating Wednesday when a customer posted images of the product received and its interaction with Bethesda when seeking help regarding the problem. What was originally sold as a canvas bag included in the Power Armor Edition turned out to be a nylon bag when a buyer received Fallout 76 memories. After contacting Bethesda and seeking answers, the buyer received a response from the Bethesda Technical Assistance Center stating that he was sorry for not being satisfied with the bag. He claimed that the product advertised was a prototype and that it was proving too expensive to do. Bethesda's message concluded by saying, "We do not expect to do anything about it." Responding to a tweet complaining about the problem and containing the three relevant images for comparison purposes, Bethesda apologized for the response from the customer service representative and confirmed that the canvas bag was too expensive to manufacture. The Bethesda Store Support Member is a temporary contract employee and is not directly employed by Bethesda or Bethesda Game Studios. We apologize to the client who took the time to reach out. The response from the support was incorrect and not in accordance with our policy of conduct. Unfortunately, due to lack of hardware, we had to move to a nylon carrying case in Fallout 76: Power Armor Edition. We hope this does not prevent anyone from appreciating what we consider to be one of the best editions of our collector. There were debates when the first images of the email were broadcast to see if the email had been modified or not to display an answer that seemed atypical for a support team. Bethesda's response above does not directly confirm or deny any suggestion that the original email was real or fictitious, but assumes the responsibility of the Customer Service Representative who responded to the customer. Bethesda shared an almost identical message about Reddit in the Fallout 76 subreddit after the controversy has been discussed in several Reddit communities. The comment, which can be seen here, currently has over 600 negative votes with responses from people looking for more answers on the subject. 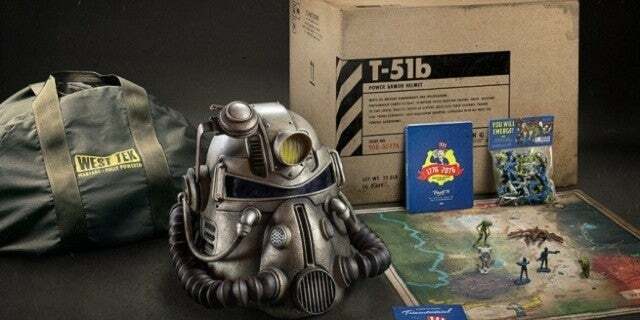 Others have pointed out that the Power Armor Edition store page still has the same promotional image, a cropped version of the one shown at the top of the article, and indicates that the edition has a " West Tek Canvas transport bag "in its contents. Content.